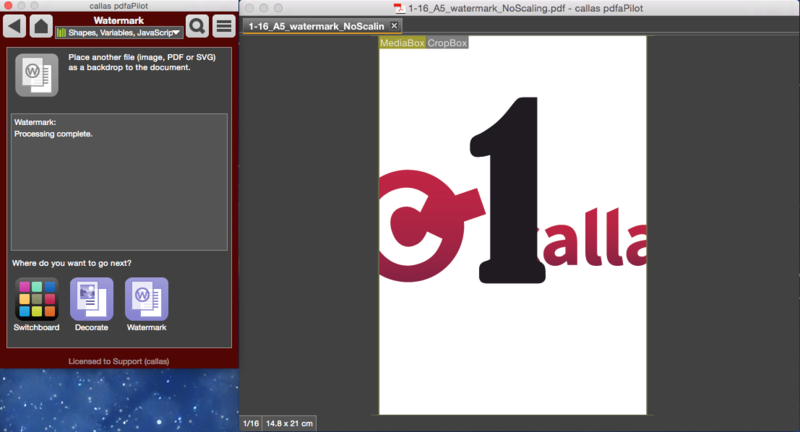 This Action lets you add any logo or image to one or all pages within a PDF, with a transparent effect. 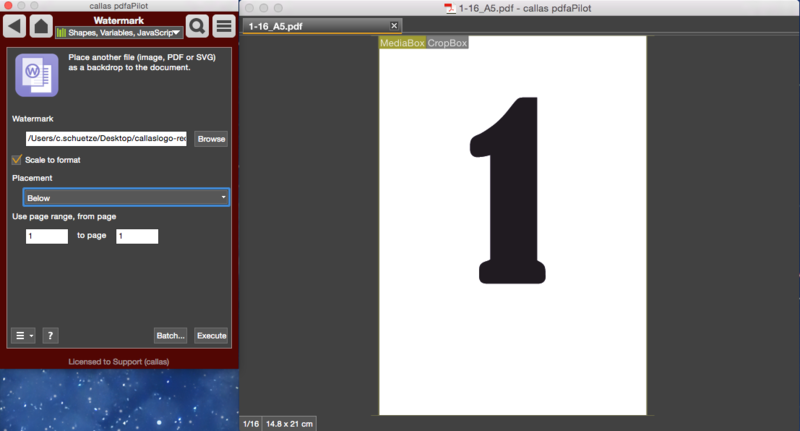 The image will be vertically and horizontally centered. You can specify whether the object should be placed on top of or below the existing content. Click “Browse” to choose the file to be placed. Scales the placed object to the page size. Specifies whether to place the object on top of or below the existing content. For multi-page documents, specifies the range of pages on which the object will be placed. 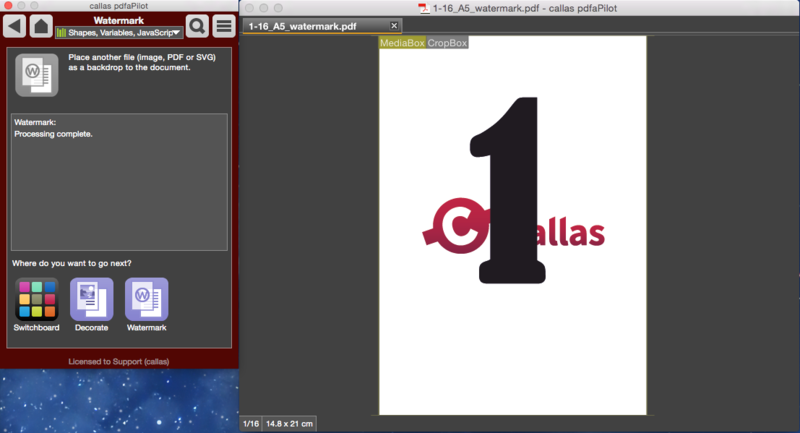 The logo has been scaled to the page size during placement. An example of a non-scaled-to-format result. The logo has been placed in the document at its original size.